Proxemic Media presented ShaLeigh Dance Works & Renay Aumiller on Friday, November 16th at Empower Dance Studio downtown for Third Friday. Proxemic’s Third Friday events offer the community an opportunity to experience some of the dance works being made here in the vibrant southeast. Founder & Director Myra Weise has developed over ten years of arts administration experience working for renowned arts companies such as the American Dance Festival, Pilobolus, and within the proliferating arts community at Duke University in the Ticketing and Theater Operations department as well as the Nasher Museum of Art. From marketing and advertising to ticketing and venue management to audience services, the through-line of her career in the arts has been customer service. Whether the “customer” is a presenter, an artist or an audience member, Weise always works to anticipate their needs one step ahead thereby creating a pro-active, productive working environment. A professionally trained dancer, Weise has a unique understanding and perspective of choreographers needs as they seek to manifest their vision. 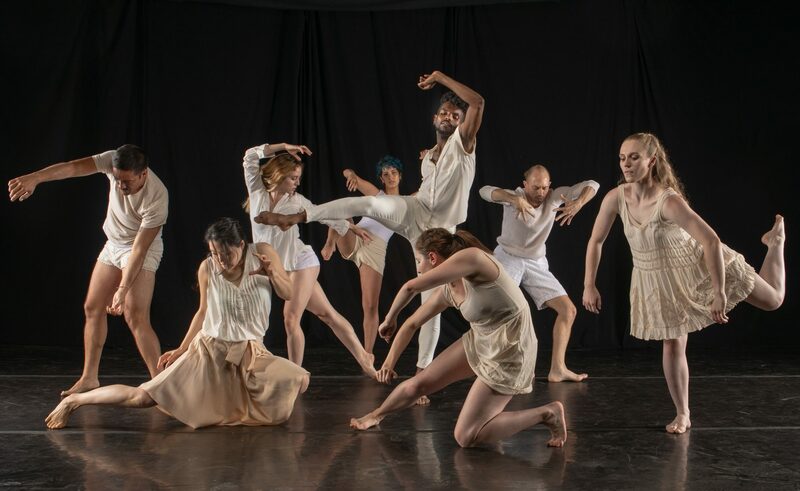 ShaLeigh Dance Works presented an excerpt of their upcoming evening length work Bamboo Wind set to premiere this January 17th through 20th at The Durham Fruit and Produce. Bamboo Wind commissions 20 artists in the fields of music, film, poetry, photography, sculpture, theatre, costume design, and dance for a major multi-art installation and performance. Renay Aumiller and husband Dave Yarwood performed a process-exposed duet which means it was created in the moment by using a computer program designed by Dave. As the performances happened twice throughout the evening, the duet was entirely unique for each audience.